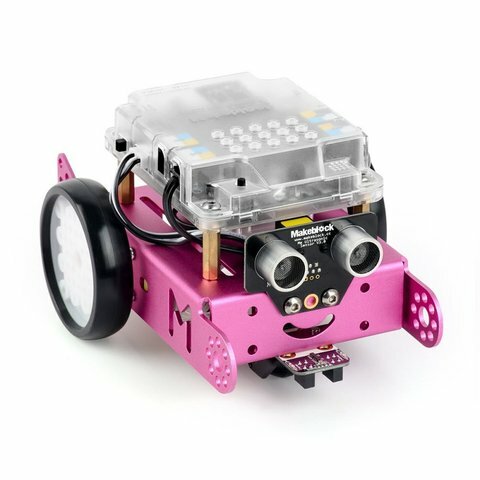 Kit to assemble the programmable robotic car that can be used to teach programming and work with electronics and robotics. 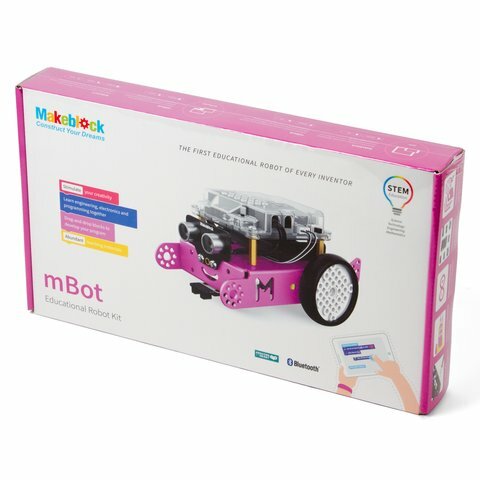 Makeblock mBot v1.1 Bluetooth Version is a model for an individual assembly of a robotic programmable car. 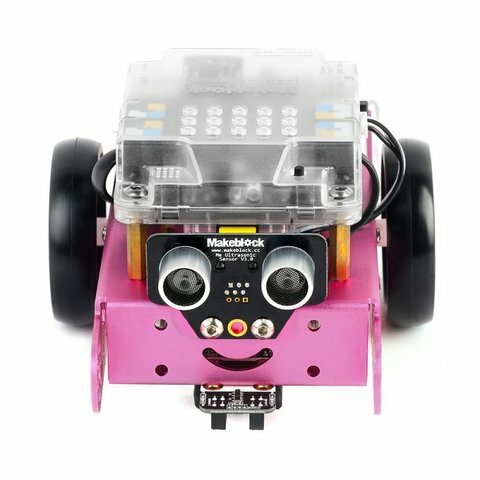 Control your robot via a tablet, laptop or iPad. 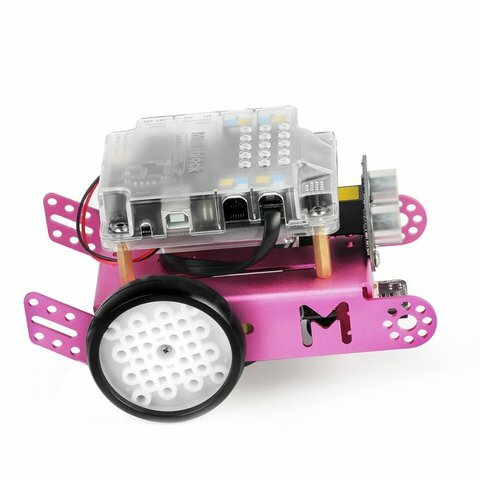 The robot is assembled from aluminum parts with slots according to the instruction supplied in the kit. 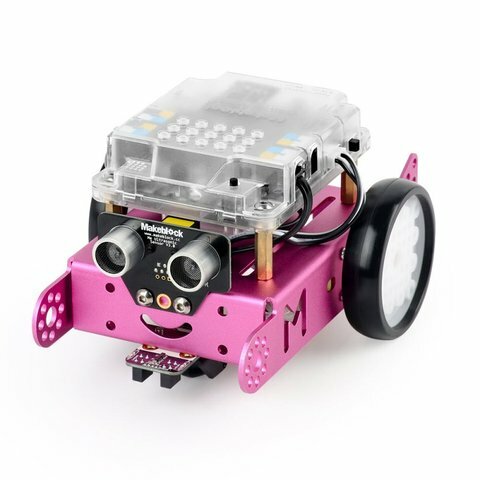 The robot is developed based on the Arduino open source electronic prototyping platform. The construction kit contains mechanical parts and color-labeled RJ25 ports, that can be assembled in 10 minutes without the need for soldering. 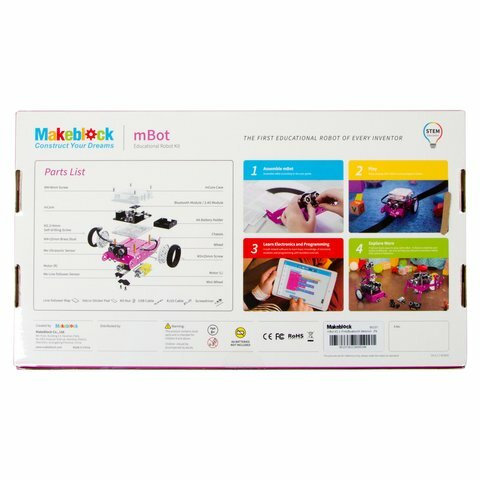 It is very easy to control the robot using the mBlock software. 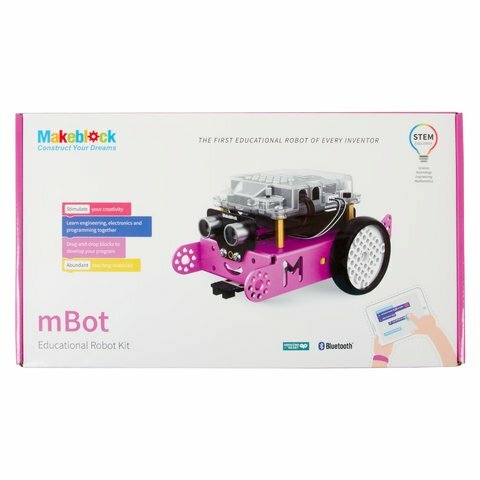 Drag-and-drop graphical programming software mBlock developed based on Scratch 2.0 provides a quick way to learn programming, control the robot, and realize multiple functions from the robot. Also, the robot is compatible with most LEGO parts. Powered by AA batteries or a 3.7V lithium battery (not included). The software is a graphical programming mBlock (Windows, MAX, iPad mBlockly). Suitable for users aged 12 years and older. The robot is compatible with most LEGO parts. exclude iPad®1, iPad®2, iPhone®4 or below. 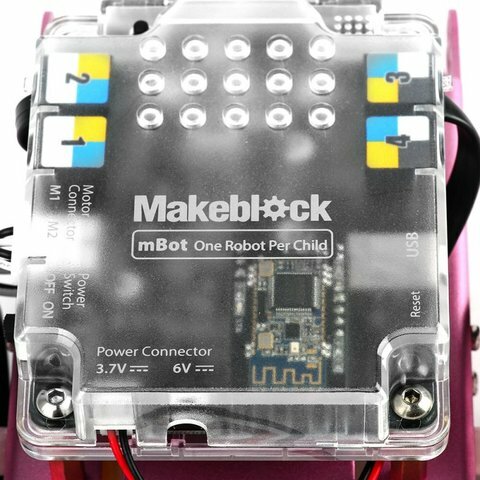 Download Makeblock mBot v1.1 User Manual. AA Battery Holder — 1 pc. Lithium Battery Holder — 1 pc. Route Map — 1 pc. 6P6C RJ25 Cable — 2 pcs. Brass Stud M4 × 25 mm — 4 pcs. Screw M2.2 × 9 mm — 4 pcs. IR Controller — 1 pc. mCore Case — 1 pc. mCore Microcontroller — 1 pc. USB Cable — 2 pcs. M3 Nut — 8 pcs. Me Line Follower — 1 pc. Battery Shell — 1 pc. Mini Caster Wheel — 1 pc. Screw Driver — 1 pc. Screw M4 × 8 mm — 15 pcs. Screw M3 × 25 mm — 6 pcs. Me Auriga — 1 pc. Me Ultrasonic Sensor — 1 pc. Battery AA (not included) — 3 pcs. (or) Lithium battery 3.7V (not included) — 1 pc.